Ecstasy and Euphoria! Those two words pretty much sum-up my emotional state way back in the summer of 2011 when we initially set the date of our wedding. But within a matter of months those feelings had started to morph into something more akin to exasperation and exhaustion. 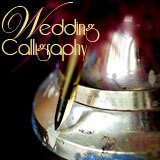 I was, quite frankly, overwhelmed by the dizzying array of choices with which I was faced at every turn in the wedding planning journey. Indeed, at one point I remember that even choosing which wedding magazine to buy triggered feelings of mild to moderate panic. Mesmerised by all the glossy covers, I would dither for an age in the supermarket as I tried to assess the relative importance of discovering the latest trends in floral styling as opposed to the hottest bridal hair ‘updos’ for 2012. Prevented by the plastic wrapping from being able to peep inside and make an informed choice, I would so often admit defeat and dismount the horns of the dilemma by purchasing both magazines. And then, on the way out I would notice another ‘must buy’ magazine offering essential advice on how to wear a veil. Little wonder then that our attic is now piled high with these glossy publications. Of course, the angst encountered by trying to decide which magazine to buy was only the very thinnest edge of the wedding wedge. Even the most cursory glance inside revealed an ocean of beautiful possibilities. Each and every wedding magazine page I turned, wedding website I loaded and wedding fair flyer I stuffed into my bag, seemed to offer something else that made me gasp with sheet delight. Take, for example, the wedding cake. Initially, I was all for a three-tier fruit cake complete with traditional style topper, but that changed the day I stumbled across a photograph of a chocolate cake enrobed in real gold leaf and decorated with entwined crimson flowers and berries. Even from the rather poor photograph below I think you can see that this cake scores high when it comes to having the wow factor. Fig. 1. Simply sumptious chocolate cake with gold leaf decoration by Purita Hyam. 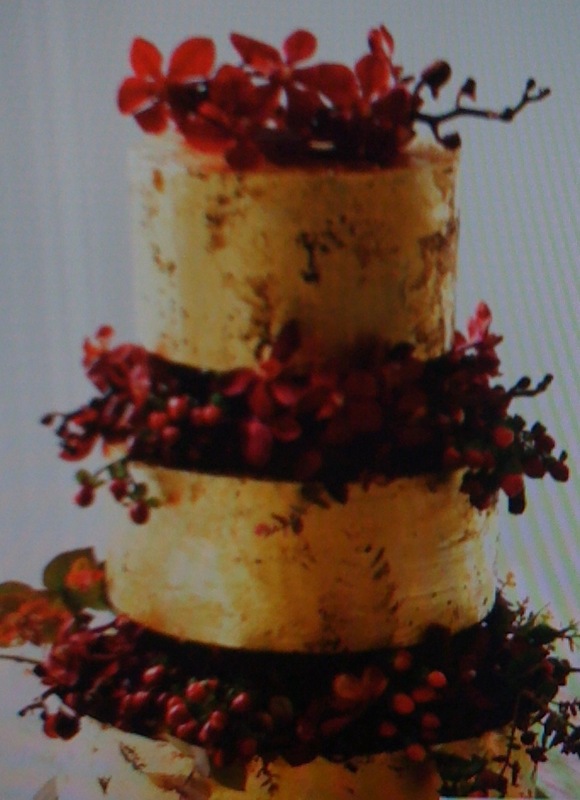 But could the midas touch compete with my vision of a more traditional wedding cake? But my head was quickly turned yet again when I discovered Zoe Clark’s gorgeous miniature wedding cakes, each one exquisitely decorated with intricately piped flowers. In fact, I was so taken with Zoe’s designs that I ended up buying her Chic & Unique Wedding Cakes book which, to this day, I still drool and dribble over. Then there was the flower dilemma. I’d always assumed that if I was ever to marry I’d follow in my Mum’s footsteps and opt for a bouquet of deep red, velvet petalled, roses. 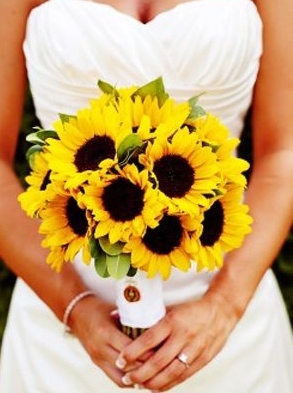 But then I came across a photograph of a bride who chose to carry giant sunflowers. The visual effect was stunning and I suddenly found myself wanting to explore more floral options. So before you could say ‘for better, for worse’ I’d ordered The Flower Council’s Cut Flowers Catalogue to check out which flowers would be in bloom at the time of our autumnal wedding. You can but imagine how many options that presented. Stationery choices were even tougher to make. 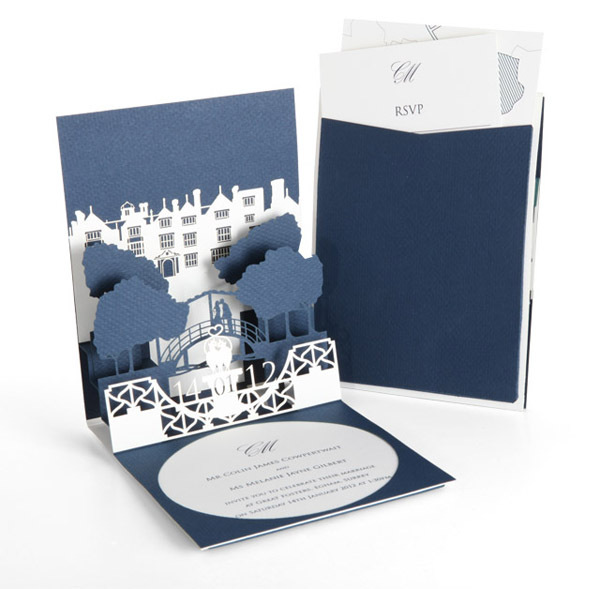 I was, and still am, completely blown away the simply amazing laser cut range created by London based stationery company Cutture. Fig.4. One of the many jaw-dropingly beautiful designs by Cutture London. But, when I discovered the beautiful watercolour paintings by Sun Pennies, I questioned whether anything could be more lovely and more fitting than an invitation bearing a hand painted image of the church in which we were to marry. Fig.5. 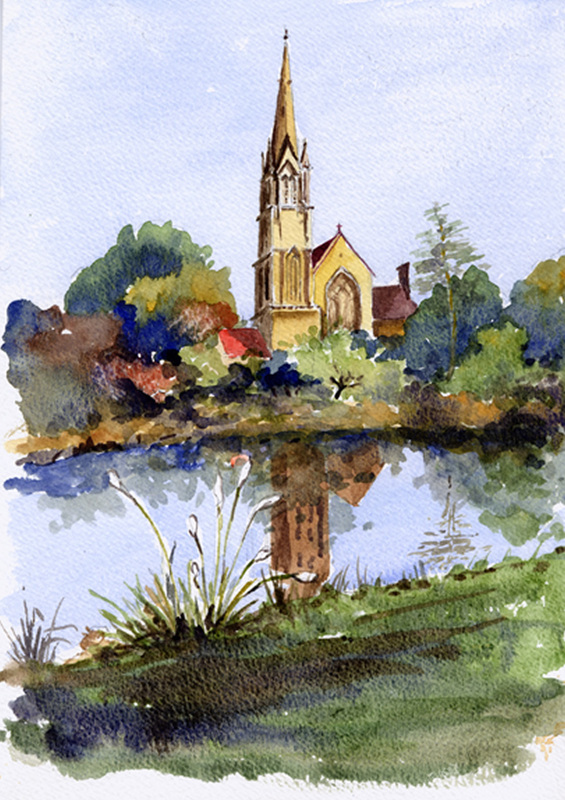 Sun Pennies watercolour painting of All Saints Chruch, Sherbourne . . . which, by complete coincidence, happens to be the very church in which Mr Moore and I tied the knot! And then there was the choice of font which extends way beyond the drop down menu in Word, particularly, if you should happen to have Gestalten’s Type Navigator:The Independent Foundries Handbook amongst your book collection as Mr Moore has. I spent hours and hours downloading different fonts so that I could try them out and I even sought advice from a font guru, based in France, regarding a thorny serif/sans serif issue. Time and time again, I found myself rendered completely incapable of making a decision. How could I choose one beautiful thing when it meant rejecting something else that was completely different but equally as beautiful? The answer my friends was to be found, quite literally*, in a bottle of bubbly. 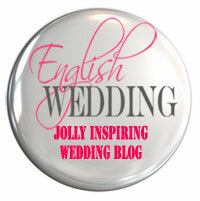 So tune in next time to find out how Perrier and Jouet inspired the theme which underpinned A Warwickshire Wedding thereby helping me to resolve so many of my former wedding planning dilemmas. * I use the word ‘literally’ in the original Oxford English Dictionary sense, not the new -fanged interpretation where it is used for the purposes of emphasis and exaggeration.